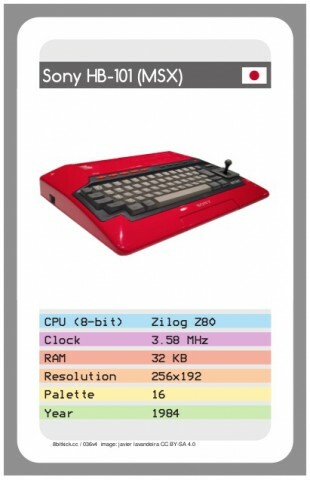 You are here: Home › Archive by category "Gadgets"
8bitkick is a deck of 42 printed cards featuring photos of retro computers (and also a Raspberry Pi that got thrown into the mix because it’s cute). In order to create the product a Kickstarter campaign started with a funding goal of $750. The campaign ended a few hours ago. The amount raised? $12,233. About 16 times the amount needed. Looks like there are a few of us (retro computer enthusiasts) out there. All cards will be freely available for download after they’ve been produced. This is the second part of this post. 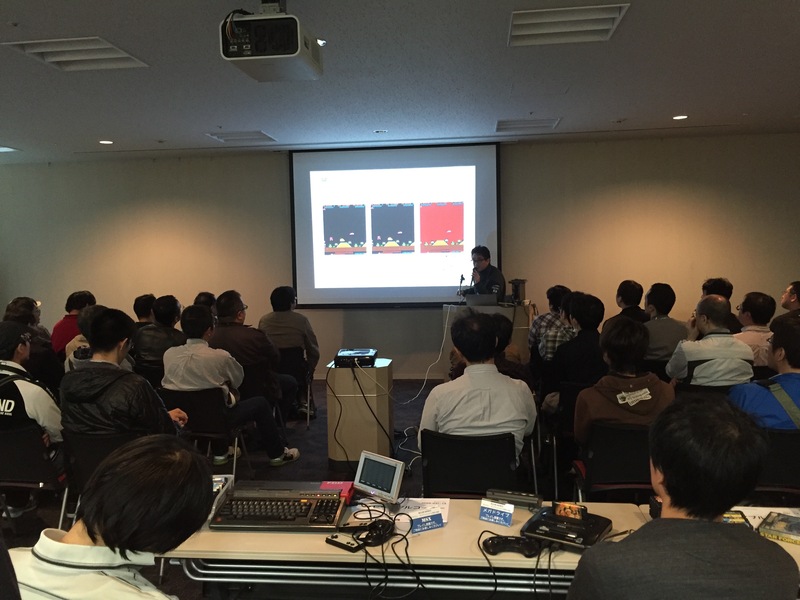 We continue from the point where the previous part ended: looking at the network applications developed by Konamiman. 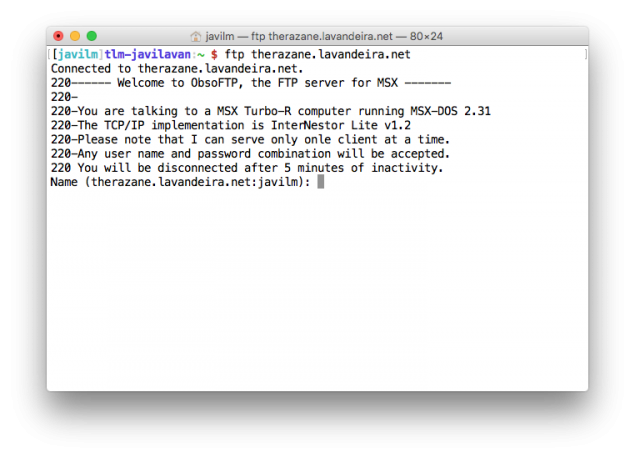 Yes, an FTP client for MSX! 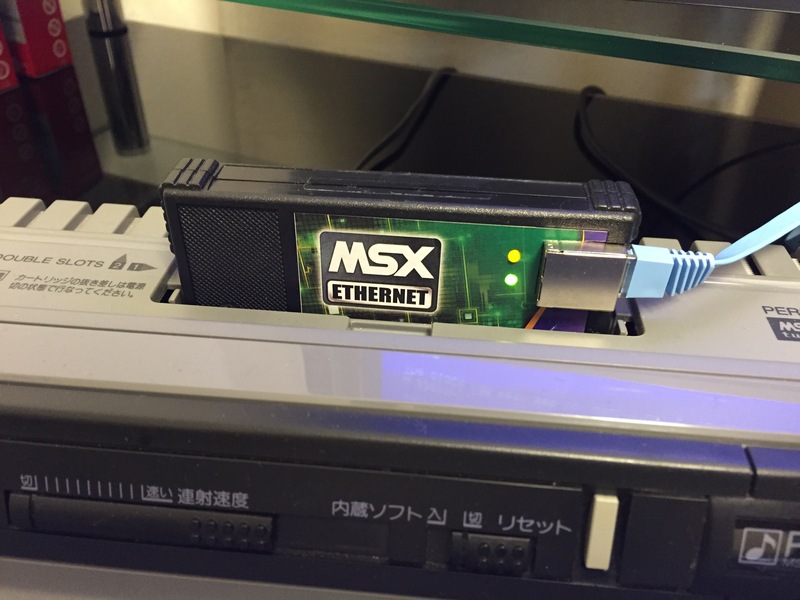 You can now connect to FTP servers on the Internet and download files directly to the MSX, without having to download them to a PC or a Mac first and then copy to the MSX via removable media. FTP.COM is very easy to use. 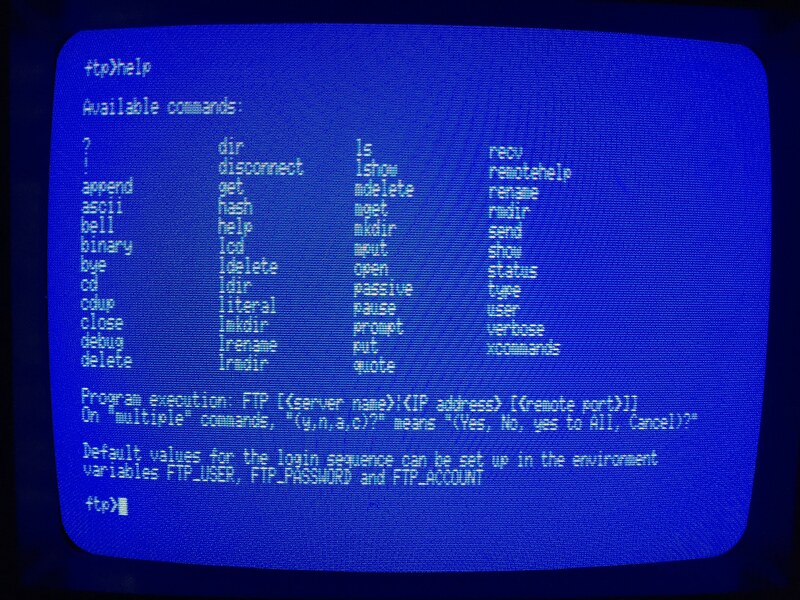 It accepts the standard commands to interact with FTP. You can also set the environment variables FTP_USER, FTP_PASSWORD and FTP_ACCOUNT and use these as the defaults when connecting to servers. 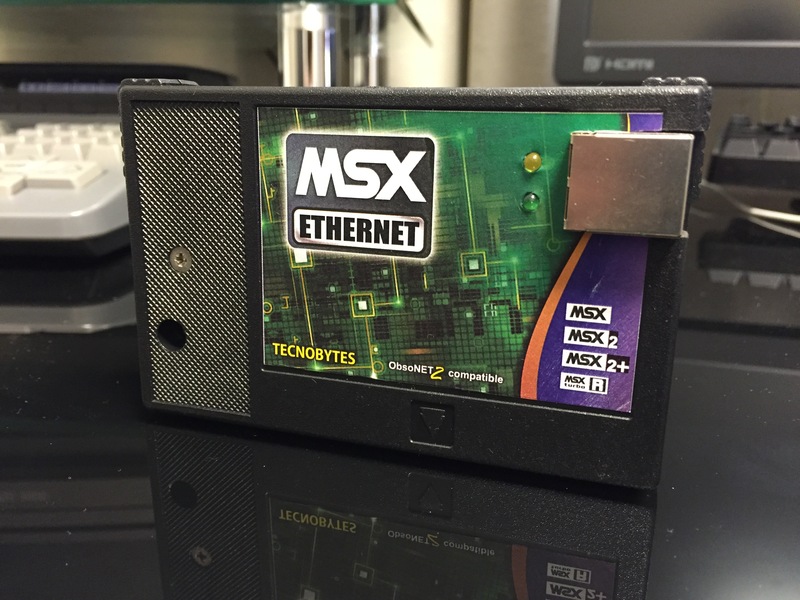 Recently I received the MSX Ethernet Cartridge from the Brazilian group Tecnobytes. This batch is already sold out, so for these of you who bought one, here’s a review of the unit and what you can do with it. The cartridge is useless without software, so I’m also explaining the InterNestor Lite TCP/IP stack and its companion suite of network applications, both developed by Néstor Soriano (Konamiman). The review is long, so it’s split in two posts. 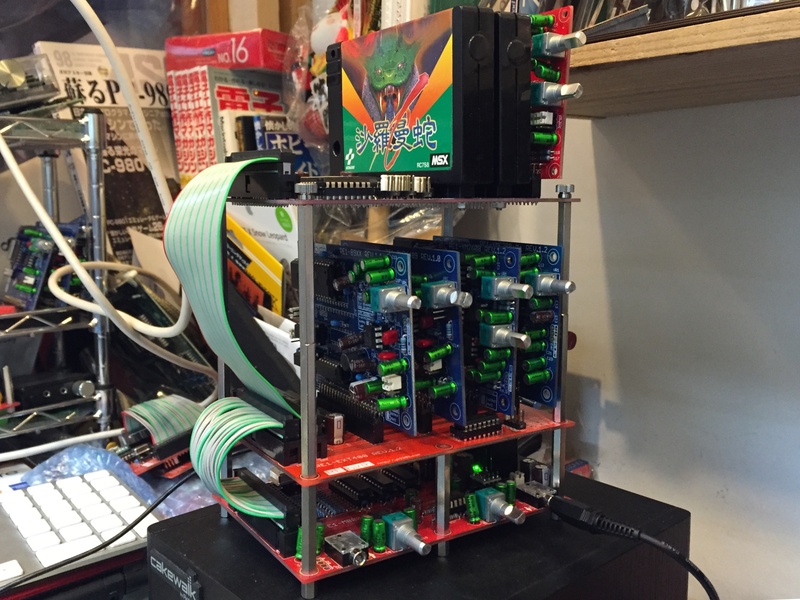 This is a Konami-sized cartridge with a single Ethernet port to the right and a couple of LEDs: the amber one indicates that the cartridge is powered on, and the green one indicates that there’s an Ethernet link established. It flashes during data transmission. 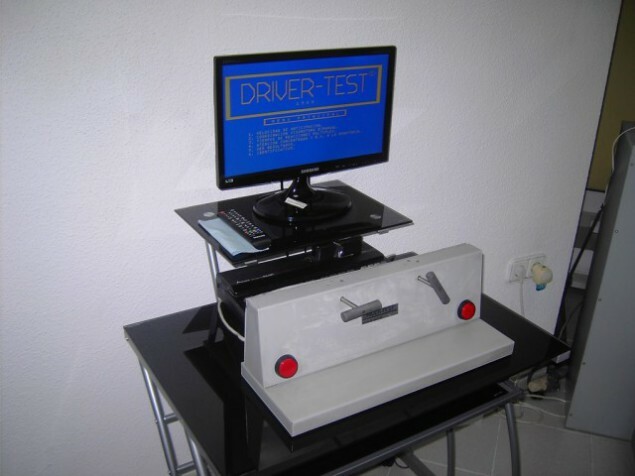 The Ethernet controler is a Realtek RTL8019AS, which means that the maximum speed is 10Mbps in full-duplex. 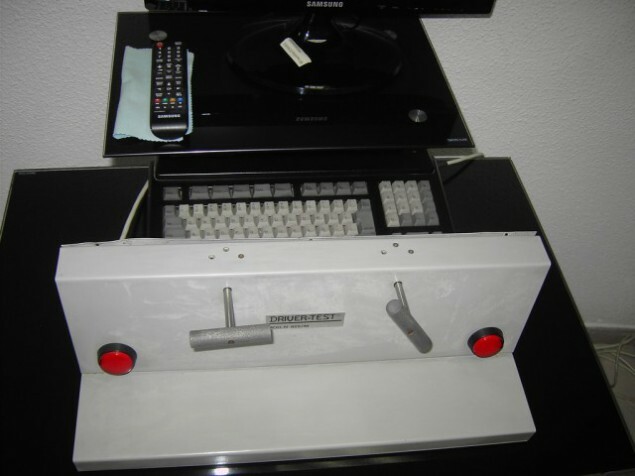 This may not sound very impressive nowadays, but it is more than enough for the MSX, as we will see later. The design is based on Daniel Berdugo’s ObsoNET board. What’s is this sorcery!!?? MSX cartridges? Sound boards?? In the background there was playing one of Salamander‘s themes, with perfect timing and perfect instruments. 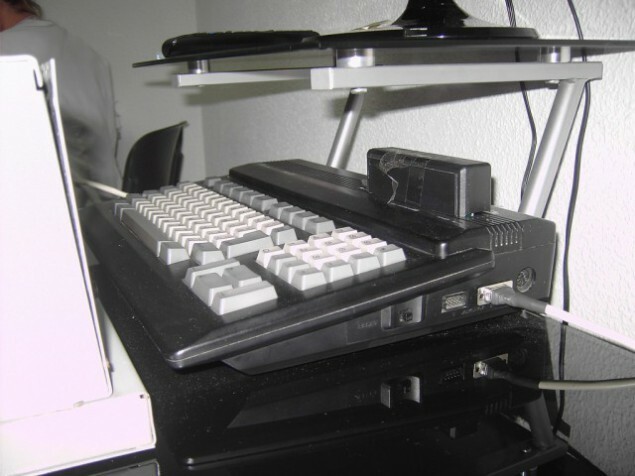 Initially I thought this was a custom-built MSX computers, but it wasn’t. 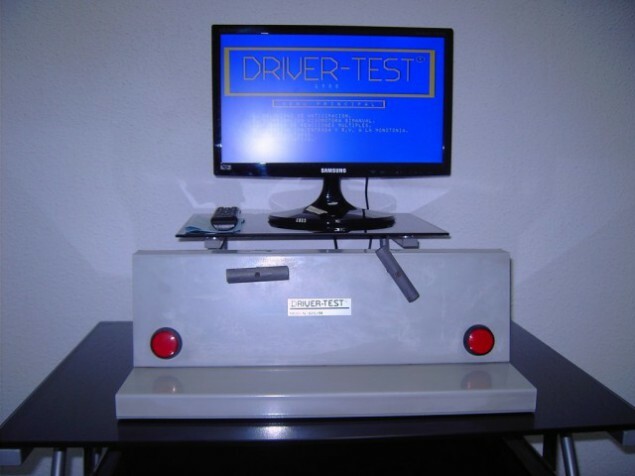 Another old application programmed by me in 1993 or 1994. This one is a music disk for MSX2 computers (or higher) with at least an FM-PAC. 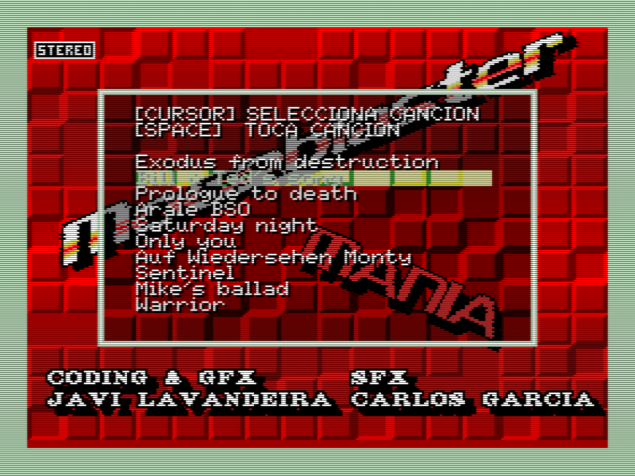 Also supports MSX Audio for stereo sound and digital samples. 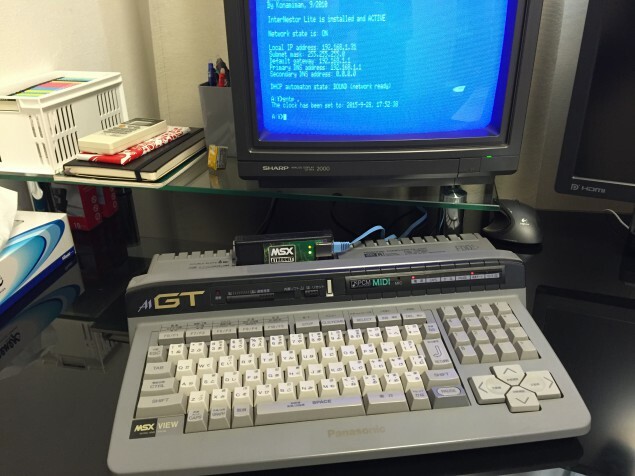 I thought this was already available in The MSX Archive, but looks like it wasn’t. I’m also releasing this one to the public domain. It works fine under the openMSX emulator with the mbstereo extension. Most of the songs are by Carlos García. Graphics, code, and the two crappy songs (guess which ones) are all my fault. NOTE: The samples in the last song (‘Warrior‘) seem to be corrupted. It doesn’t matter much, because we used this same song for the intro of MATRIX. Thanks Paco for reminding me about this one, and mars2000you for pointing an online archive that still had it!